Old Baal's Bridge, Limerick c. 1830. Today being St. Patrick's Day, it is a perfect opportunity to mention the story of Ireland's famed Baal's Bridge Square. This unique artifact is dated 1507, and is considered to be one of the earliest known existing Masonic items in the world. It is made of brass, and was discovered in the foundation of Baal’s Bridge in Limerick, Ireland when the original structure was being rebuilt in 1830. It is inscribed with the immortal phrase, “I will strive to live with Love and Care Upon the Level By the Square” and the date of 1507. The Baal's Bridge Square was discovered in the excavating of the foundations of Baal’s Bridge, in the City of Limerick, in November, 1830, some 20 years before the new bridge was constructed in 1850. The Square dates to the early sixteenth century, namely 1507 and was probably placed in the foundations, I would suggest, by an Operative Mason. 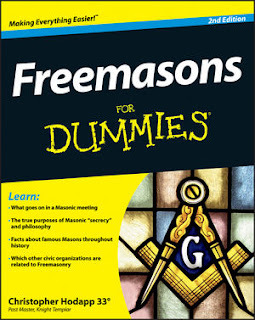 You will note that the Square is identical to the Jewel of a Worshipful Master. Everything points to the fact that the Craft was flourishing in Ireland in the sixteenth century. It is impossible, however, to be dogmatic about the point, whether or not it possessed any esoteric ceremonies. With most of us that will be a matter of faith rather than evidence. 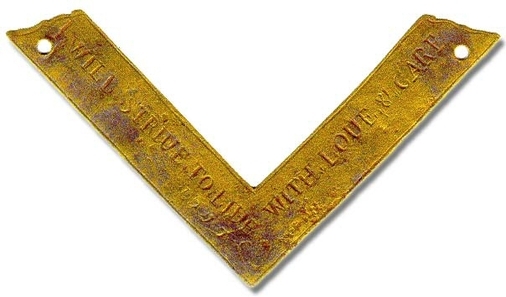 Yet if we may trust the testimony of a certain old relic of antiquity, some measure of ethical symbolism was associated on occasion with the implements of masonry, as is shown by what is usually known as the "Baal’s Bridge Square," carefully preserved by Antient Union Lodge No. 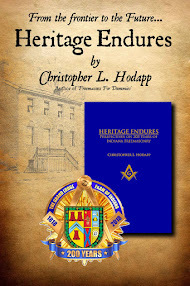 13, Limerick, warranted November, 1732, and probably "time immemorial" like others of our ancient Lodges. This ancient brass square "was discovered in excavating the foundations of Baal’s Bridge, in the City of Limerick, in November, 1830. 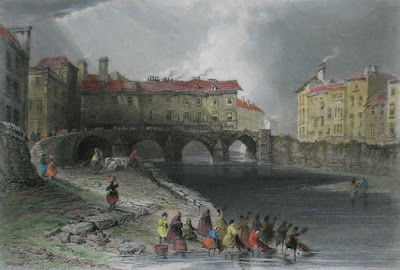 It was dug out of the eastern corner of the foundation of the northernland pier on the King’s Island or English Town side of the river Shannon, where the abutment of the new bridge now [date of article - 1850] stands." The position in which the square was found indicates that one of our Masonic customs, still in vogue, was practiced in Ireland over 400 years ago. 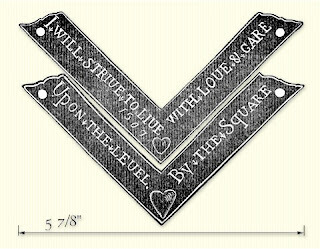 The sketch hereunder of the square is an exact facsimile (full size) reproduced from a rubbing, a matter of some difficulty owing to the metal being much corroded, made for us by Brother James Le Gear, the courteous Secretary of Triune Masonic Lodge, No. 333, Limerick. The site reports that 500 replicas of the square made of silver sold out several years ago, but that as of March 28th, 2014 at least, a final supply of 40 more would "soon be available" for sale for €uro 175.00. If interested (and to see if any are indeed still available), check the website of the Provincial Grand Lodge of North Munster. Hi Chris. Hope you don't mind I just shared on the Baals's Bridge Square FB page! Next time you are in Ireland I would love to take you to the North Munster Masonic Centre to check out the Museum and go to a Lodge meeting of Antient Union 13, the custodians of the famous square! Many thanks for the kind offer. Actually, I've never had the chance to visit Ireland before, but it's high on my growing list of places to see.